There are only a few minor changes to various option packages for the 2014 Jeep Wrangler. There’s one word that is synonymous with Wrangler—rugged. The Jeep Wrangler was built to go off the beaten path, and the 2014 model year is no different. Sharp angles, round headlights, and a boxy body all come together to create an aggressive silhouette that lets everyone know the Wrangler can take you wherever you need to go—especially if it’s on an adventure. A standard 3.6-liter V6 powers the 2014 Wrangler, churning out 285 horsepower and 260 lb-ft of torque. Standard four-wheel-drive helps the Jeep dominate off-road along with a standard six-speed manual with hill-start assist. A five-speed automatic with both hill-start assist and hill-descent control is optional. The Wrangler Unlimited has a maximum towing capacity of 3,500 pounds when fully equipped, while the two-door Wrangler’s maximum is 2,000. EPA-estimated fuel economy for both the two-door Wrangler and Wrangler Unlimited is 18 mpg combined. Function is the priority in the Wrangler interior, so if you’re looking for luxury, stay away. This doesn’t take away from the aesthetic appeal though with durable materials, such as hard plastic surfaces, molded into rounded lines that provide the cabin with an organic look that is extremely easy to clean. Legroom in the back seats, especially in the two-door and the compact SUV is limited with little cargo room, though the four-door Unlimited does have a significant amount more. 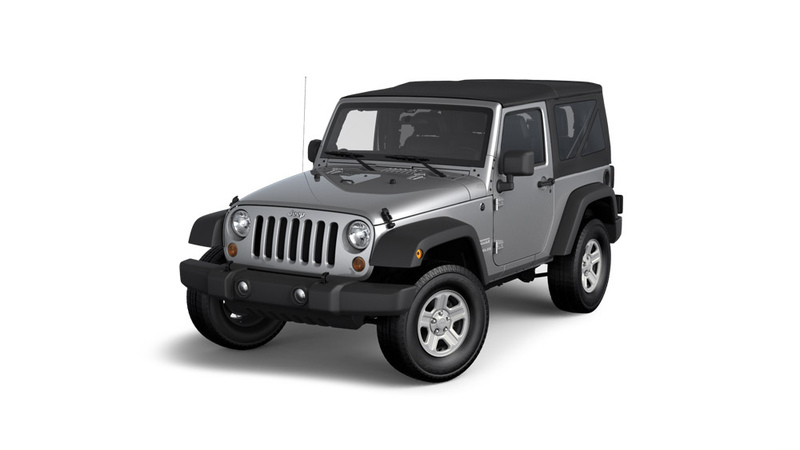 Standard safety features for the 2014 Jeep Wrangler include antilock disc brakes, stability and traction control, front airbags, and hill start assist with optional front side airbags. Keep in mind that the Wrangler’s doors don’t provide the typical protection you receive since they are removable.